Why haven`t I heard about Valentus before? 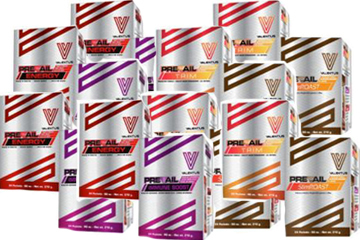 Valentus is new on the market making its debut in 2014. The product has been in Canada since 2015 and is increasing in popularity daily. Dave Jordan, founder & CEO behind Valentus choose to share these amazing products using a network marketing business model rather than traditional commercial means. While you may have only heard about Valentus recently, our products are exploding in popularity now that people have tried them and realize that they work. What is in SlimRoast coffee? Valentus SlimRoast coffee is a proprietary blend of dark Italian roast coffee designed to suppress your appetite while helping to burn fat. The all natural ingredients and detox components include non-GMO Dark Roast Coffee, Chlorogenic Acid, Garcinia Cambogia 95%, Phaseolamin, Cassiolamine Green Tea Extract (100:1), Ginseng Extract (100:1) Extract, L-Carnitine and Chromium. How much caffeine is in one SlimRoast coffee? SlimRoast contains the same amount of caffeine as a regular cup of Arabica coffee. If you are sensitive to caffeine, try starting with half the package and work your way up. Most people adjust fine with a gradual approach and see results very quickly. Can I still drink regular coffee along with SlimRoast? You sure can. Just make sure you drink your SlimRoast, first. You may find that you desire less coffee after drinking your SlimRoast. Are there any side effects with SlimRoast coffee? Everyone reacts differently to coffee in general and SlimRoast. The majority of people notice the appetite suppression properties with the first beverage along with increased focus and overall elevated mood. If you are sensitive, try using one half of a package to begin with and gradually working your way up. Most sensitive people adjust well with this approach. How will SlimRoast coffee help me lose weight? Do I have to follow a special eating plan or go on a diet? Absolutely not. That's the beauty of these products. Keep in mind that eating sensibly and reducing overly processed food from your diet is good under any circumstances for health. With Valentus products, you'll find that you won't want to eat when you're not hungry. Many people also find that their cravings for sugar, carbohydrates and processed food diminishes and they start wanting to eat healthier. Note: results may vary depending on your individual circumstances. Starting a new exercise routine is not necessary to see results with Valentus. A moderate amount of exercise is beneficial, however, for all of us weather we want to lose inches or simply remain healthy. It's always recommended that you consult with your doctor before starting a new exercise regime if you have any health concerns. Do I have to drink the SlimRoast coffee to achieve benefits? No, you do not have to drink the coffee, but most people find it works very well. Another option is to drink one SLIM mixed with water in the morning, another in the afternoon before dinner, and then an IMMUNE Boost before dinner. This will provide many of the same benefits as using the coffee along with the Trim and Immune Boost. Can I drink SlimRoast coffee if I am diabetic or have high blood pressure? SlimRoast coffee is diabetic-friendly as long as you don`t add sugar. Since most people lose their craving for sugar, many diabetics experience excellent results overall. People with high blood pressure adjust well using a gradual approach of half a package and working their way up. It's recommended that you consult with your doctor if you have health concerns before starting any new program if you have any health concerns. How do I return product if not completely satisfied? If not completely satisfied with the first product purchase, send the unused portion within thirty (30) days of the original purchase date and the company will refund 100% of the purchase price (less shipping and handling). Product return address in Canada: Valentus Returns, C/O Landmark Global, 4240 Harvester RD, Unit #2, Burlington, ON, L7L-0C1. U.S. returns can be sent to: Valentus Returns, 4325 W Commercial Way, Suite G, Salt Lake City, UT 84104, USA. How much does SlimRoast cost? For best results fast, we recommend trying the 12 in 24 plan. This includes one SlimRoast coffee first thing in the morning, one Trim mixed with water before dinner and an Immune Boost in the evening. You can order the three pack for $129 US for a one month supply. You can also order six boxes at a 35% savings for $199 US. With all orders, you select which products you want to include in your order. What is the difference between a Preferred Customer and Independent Representative (IR)? 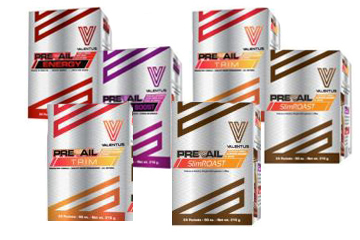 Ordering Valentus products as a preferred customer gives you preferred pricing. Cost savings increase with the amount of product you buy. Joining our fast-growing company as an Independent Rep (for the one-time $20 start-up fee) allows you to grow with Valentus and earn extra income. Do I have to build a business if I order the Business Builder 16 pack? The Business Builder is designed for people who are interested in starting a business. To choose this option, you must select Independent Rep and pay the one-time $20 start-up fee. Getting started is as easy as directing people to one of the seven automatically website addresses you receive as an Independent Rep.
Am I legally obligated or committed to keep ordering products once I start? Absolutely not. You can stop using Valentus and stop ordering products at any time. The choice is completely up to you. Do I have to sign-up for autoship if I join as a Preferred Customer? Autoship is designed to ensure you never run out of product. Although this is not required, we recommend this option to make sure you have your product on time each month. Do I have to sign-up for autoship as an Independent Rep? To maintain your rank as an Independent Rep and earn maximum commission, you must choose the minimum monthly auto ship. This can be as little as one box per month or the three-pack each month. We want our reps to believe in the product and use the products. This ensures you don't run out. Can I cancel autoship any time? Yes you have the option to cancel you autoship at any time. If you are an Independent Rep, you will miss out on some levels of commission and/or lose your membership rank. Please speak with your sponsor if you have questions. I heard that I can earn free product, how does that work? Preferred Customers can earn free product. All you need to do is refer two friends to order Valentus products using your ID. Simply give them your ID number and the website URL that you order from. When they enter your ID number and sign-up for the monthly autoship, your next order is free as long as you have autoship as well. Do I have to buy the business builder to become a distributor? Absolutely not. Valentus was founded in 2014 by CEO Dave Jordan who has an impeccable reputation, integrity and vision. Valentus Inc. is one of the most successful and fastest growing network marketing companies with a proven business model. Valentus Inc. also complies with all legal and regulatory requirements applicable in countries where Valentus products are distributed. What is the benefit of starting a home-based business with Valentus? This business model has a number of advantages which can help set the stage for personal satisfaction and financial success. This includes: 1. Anyone can start their own business immediately. 2. Low start-up costs. 3. Second none training and support is provided. 4. A lead generation strategy is already in place. 5. There is no limit on earnings. With Valentus you have lots of support and you are never alone. Where does Valentus ship from and how long will it take? All Valentus products are formulated and shipped from Salt Lake City, Utah, USA. Most people report receiving their products within 3-5 days. This can take longer for rural areas. You can track your product by logging in to your site and selecting my orders. page or drop us a line. We'd love to help you get started!